New Club Penguin Unicorn Puffle Coming For the Medieval Party? Hey everybody! Disney Channel's Game On has been showing a sneak peek of the medieval party. There is this picture going around about a unicorn puffle. You can clearly see the horn the puffle has. It's a unicorn puffle. 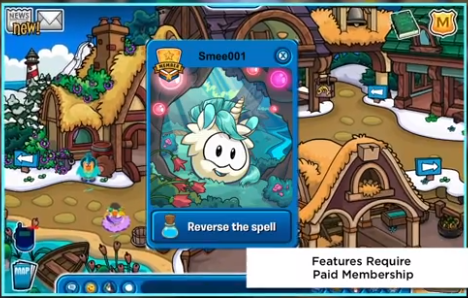 I guess we're going to be able to transform into unicorn puffles for the party because below the puffle it says "Reverse the spell".